One of our inert atmosphere gloveboxes contains a temperature controlled plate that maintains thermally sensitive reactions at temperatures from -80 °C to 0 °C. We also have cold wells in each glove box. We can measure electrochemical oxidation or reduction inside the glove box, using Pine Instruments WaveNow potentiostats. 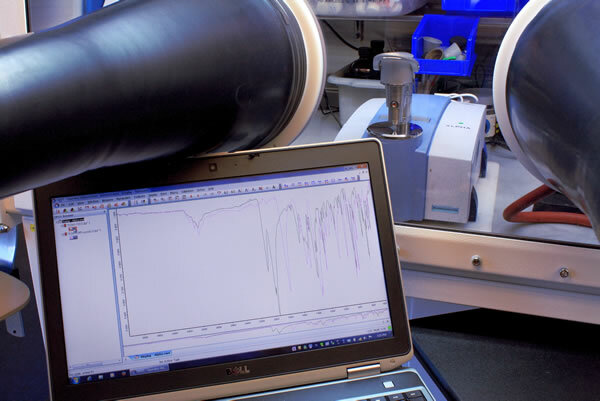 The Brudvig research group helps us to use their electron paramagnetic resonance (EPR) instrument that gives information on many compounds with unpaired electrons. 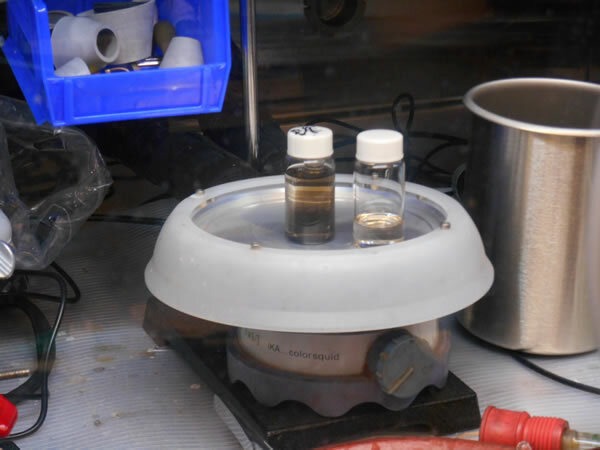 Many of our compounds react with air and moisture, so we keep them safe inside glove boxes filled with dry argon or nitrogen. 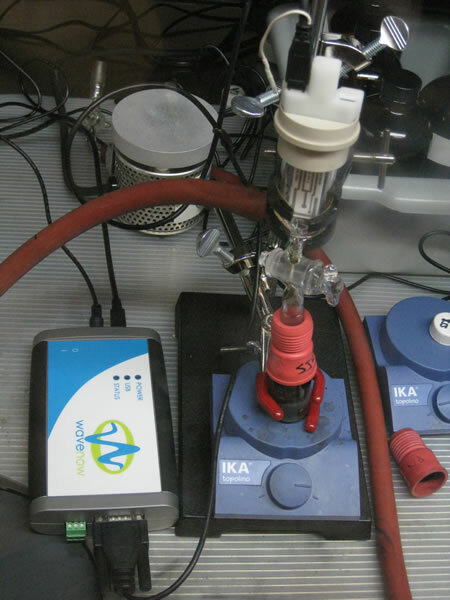 Our argon-containing box has a nitrogen-scrubbing system to avoid reactions with N2, when desired. Infrared (IR) spectroscopy identifies functional groups in molecules. 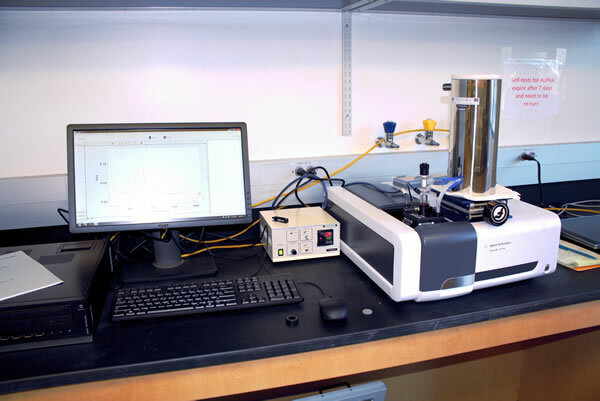 We have a Bruker Alpha spectrometer inside one glove box, with wireless connection to a laptop computer for data processing. One of our inert atmosphere gloveboxes is equipped with a liquid nitrogen inlet hose, which allows liquid nitrogen to be dispensed directly inside the glovebox. Nuclear magnetic resonance (NMR) spectroscopy gives insight into the chemical environment in molecules. 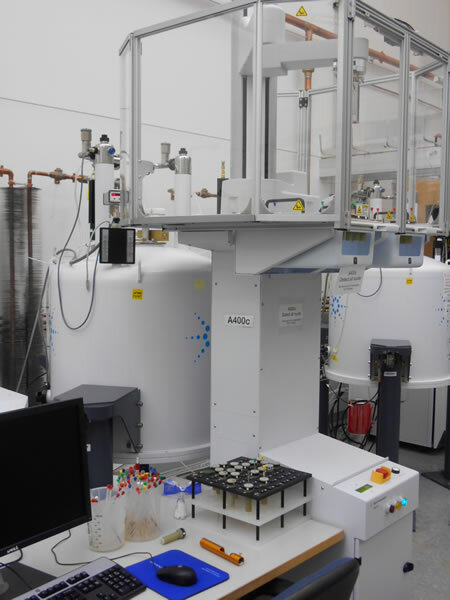 NMR is routinely used for identification of molecules and assignment of molecular structures. 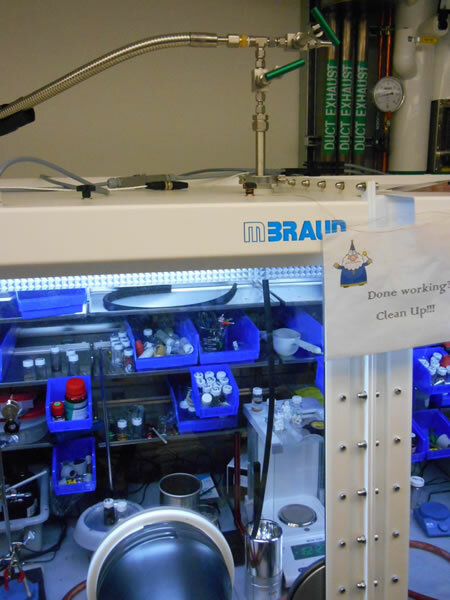 The department has 7 recently upgraded Agilent spectrometers that we use. 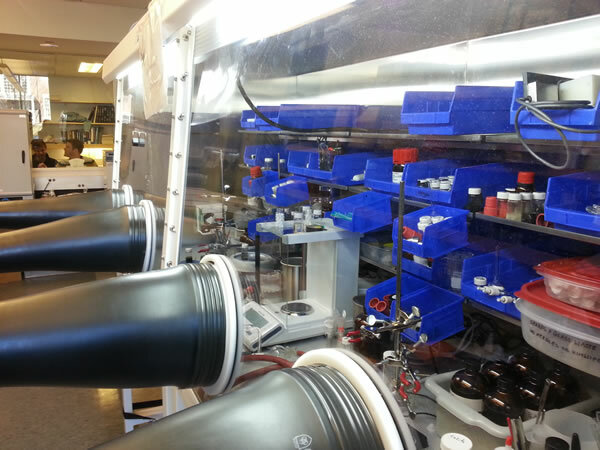 Each hood is equipped with a Schlenk line for handling air-sensitive materials outside of the glovebox. 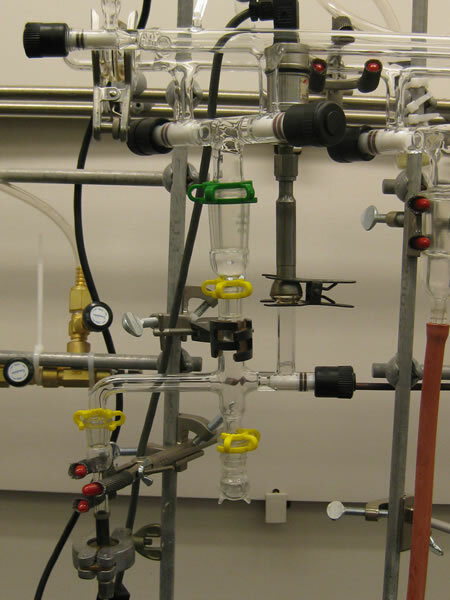 One line has a gas addition system that can add a precisely measured amount of a gaseous reactant. 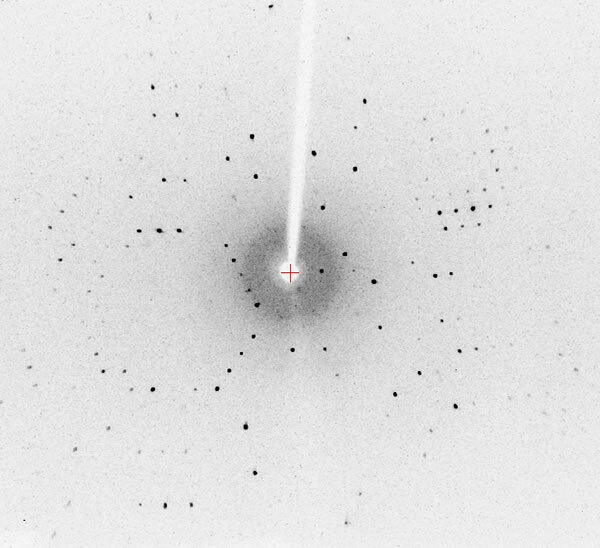 Single crystal X-ray diffraction allows us to determine the connectivity and binding modes of our complexes. The department has 3 single-crystal diffractometers, and we also collect data on small crystals using synchrotron radiation at the Advanced Light Source, all with the help of Dr. Brandon Mercado at Yale. 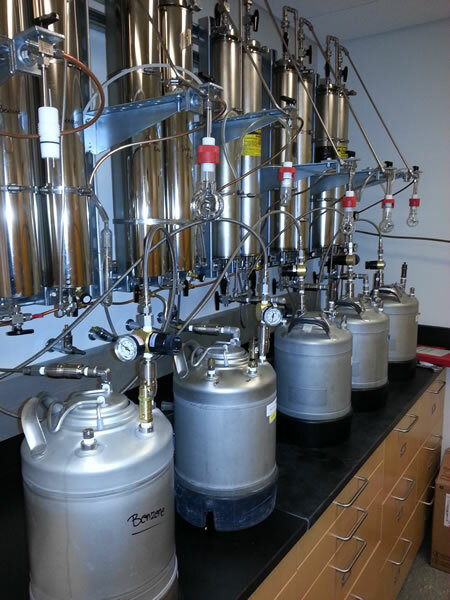 Twelve alumina and copper columns dry the solvents used for moisture and oxygen sensitive chemistry in our lab. 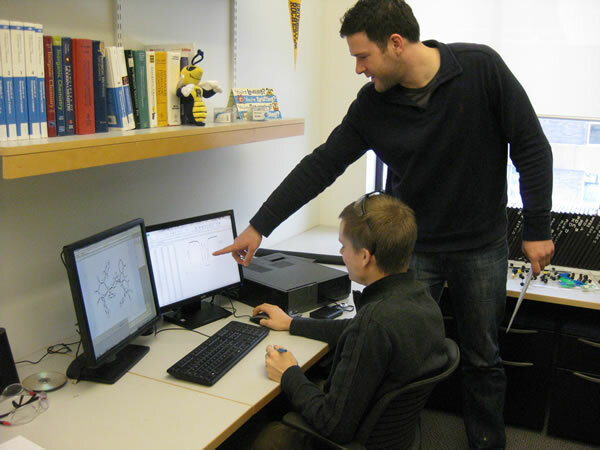 Our student offices currently have two computers equipped with software to work up NMR and Mössbauer spectra, as well as software for generating plots and crystal structure images. The office is often stocked with snacks and beverages to keep us going! 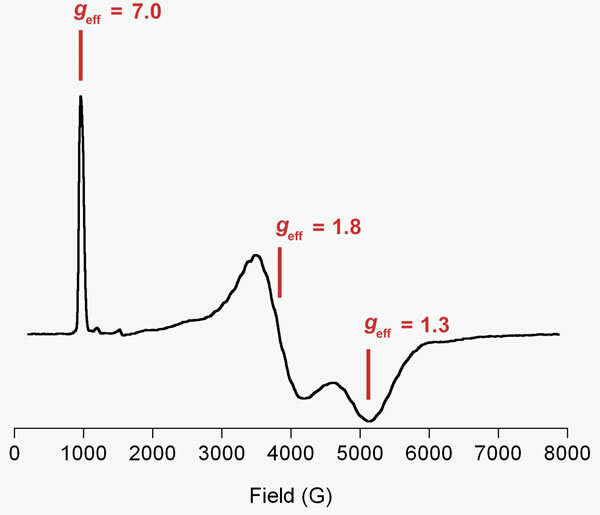 UV-vis spectroscopy is a key technique for quantifying concentrations and identifying compounds. 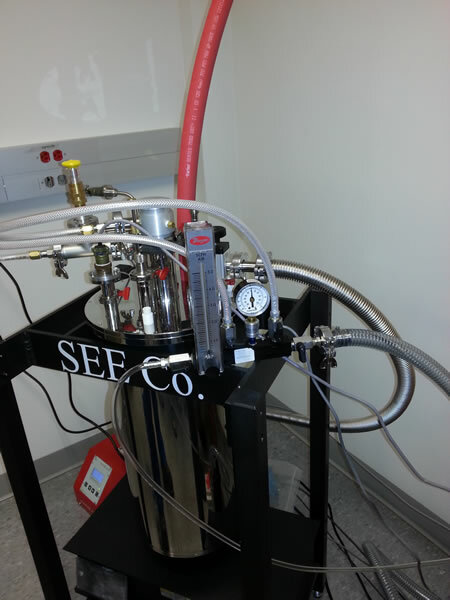 We have a cryostat that enables us to observe species or follow reactions as cold as -120 °C.